Fashion impacts everyone. Shouldn't it do more good than harm? 1 in 6 humans are somehow involved in the global fashion industry. No matter how little you care about fashion or style, you still have a need for clothing in your daily lives. What if we work together against the damage and destruction caused by the fashion industry? That is what Altre strives to do. Altre wants to provide an alternative to the fast fashion norm. We believe we can offset some of the waste by creating clothing from already existent materials. Altre wants you to love your clothes and feel good about them. While gaining my degree in Fashion Design, I slowly learned about the ugly side of the fashion industry. I came to the realization that if I, someone immersed in fashion and making it their career, didn't know enough about the environmental damage and unethical norms of the industry, then the average consumer doesn't know either. If you don't know a problem exists, it's impossible to fix it. Altre is a collection of vintage and secondhand clothing carefully curated and altered to have a more modern vibe and style. 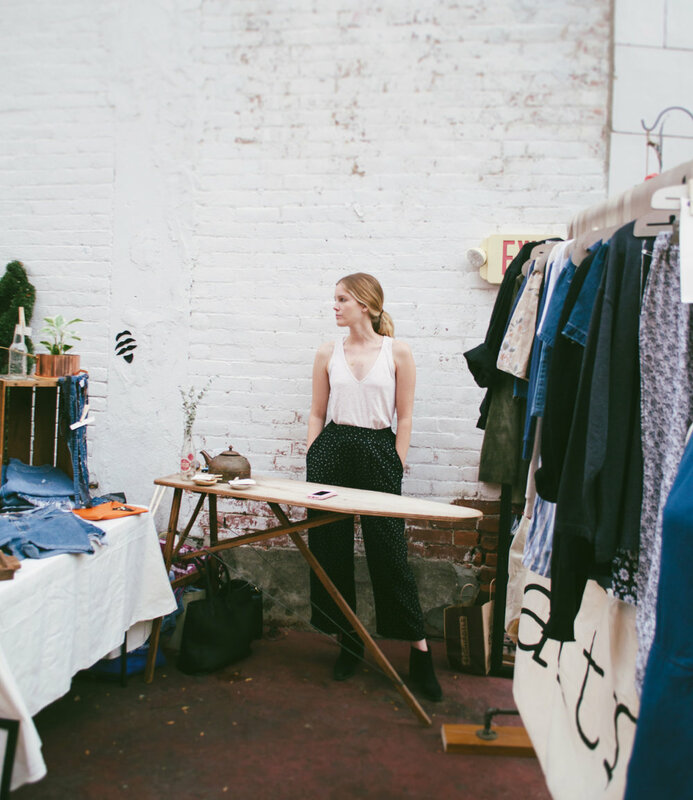 Altre is not your typical vintage vendor. Most pieces have been reworked to become one of a kind, so you're getting something truly special. Anything that has been untouched will be clearly labeled a "favorite find". Sometimes I come across pieces that are perfect just the way they are and need to find the right person to appreciate them. Along with those pieces, the shop includes some new clothing constructed from fabrics that otherwise would have been thrown away (not for lack of quality, only for lack of use). Altre loves taking preexisting materials, giving them a second life, and therefore saving them from a landfill. I began Altre to counteract the unnecessary damage and waste caused by the fashion industry. I want to provide people with an ethical, eco-friendly, and stylish alternative. I hope that along the way I can also show people the importance of ethical + sustainable fashion. Follow @ALTREwear on instagram if you'd like to learn more about the impact the fashion industry has on it's workers and the planet.